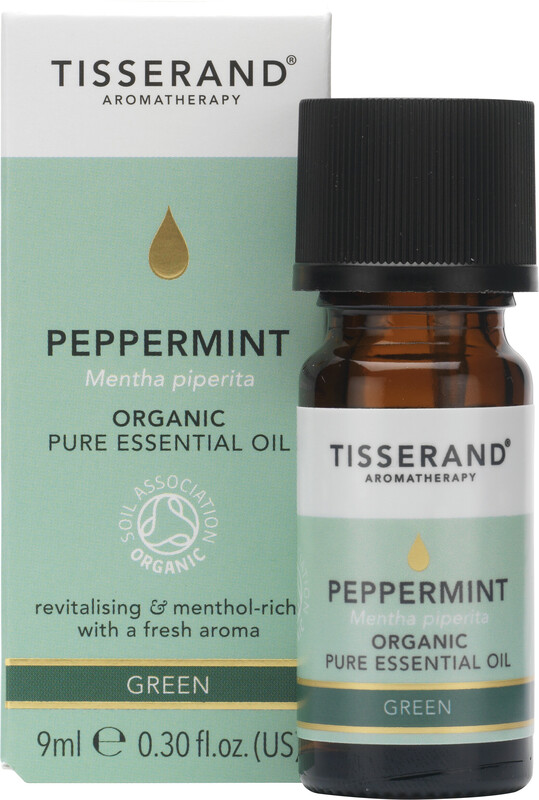 Tisserand Aromatherapy Peppermint Organic Pure Essential Oil is an organic menthol-rich and refreshing oil ideal for vaporisation to cleanse a room. This essential oil contains peppermint sourced from the herb grown wild all over North America. Peppermint is a staple in medicine cabinets the world over, commonly used to soothe nausea and other stomach troubles, clear congestion, dull headaches, refresh tired muscles, reignite the senses and unwind stress. Peppermint is great for massaging achy muscles as the menthol will cool and refresh over-worked muscles, and it mixes especially well with Eucalyptus, Lavender and Rosemary. Add 8-10 drops to your favourite burner or vaporiser to create an atmosphere ideal for relaxation. For general body massage, add up to 5 drops of this essential oil to at least 10ml of blending oil. Before use please ensure you read the Essential Oil Safety Information Leaflet, enclosed in the packaging.